If you are looking for something trendy to add to your space, the Accretion collection is a perfect fit! 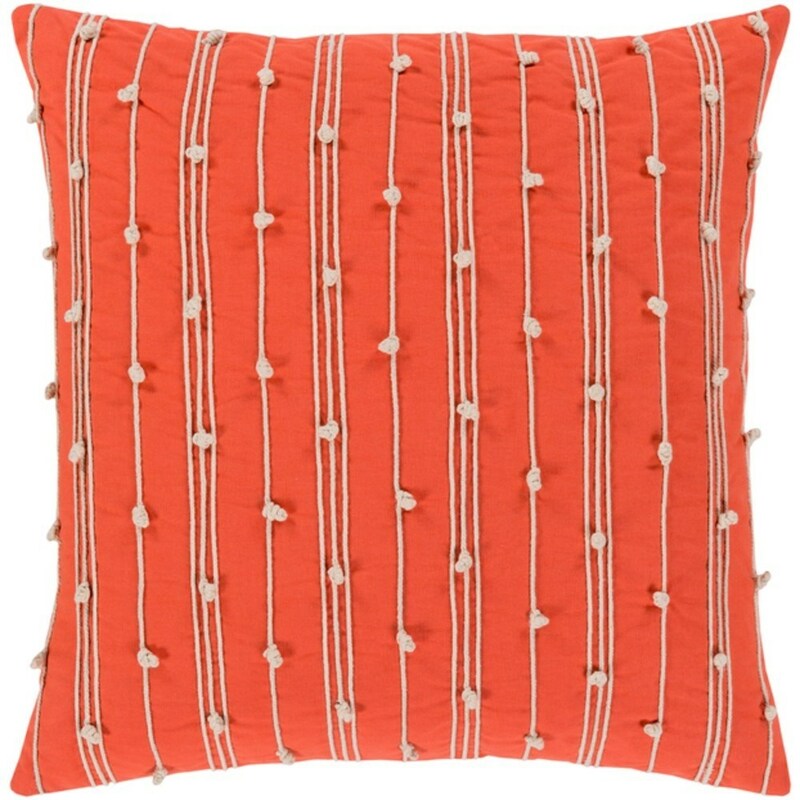 Coming in several colorful hues, this cotton pillow features a striped pattern with small knots in the strings to create a truly unique piece. Spot clean, Line dry only. The Accretion 20 x 20 x 4 Pillow Kit by Surya at Royal Furniture in the Memphis, Nashville, Jackson, Birmingham area. Product availability may vary. Contact us for the most current availability on this product. Browse other items in the Accretion collection from Royal Furniture in the Memphis, Nashville, Jackson, Birmingham area.